Flying towable tube is an unpowered boat towables for flying on the water. How does it fly? It’s towed by a large boat with engine and the air will push it up. 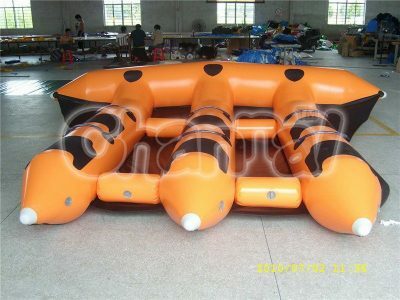 Flying boat tube is also called flying banana boat, don’t get confused with the banana boat tube. There is also one type of flying fish boats look like manta ray in the market. 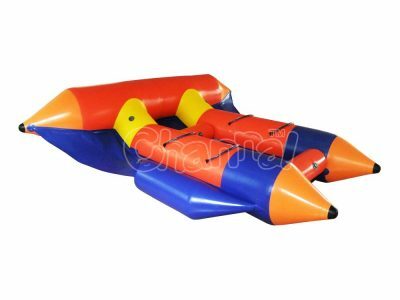 Flying towable water tube is a must try water sports activity when you plan your summer vacation at ocean or lake. A fly ride normally needs 2 person at most, so it’s a good time to share your whee with your best buddies or bf / gf. 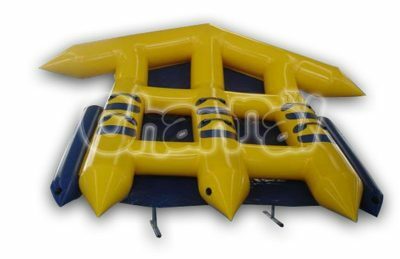 Channal Inflatables is a professional inflatable flying tube manufacturer in China. 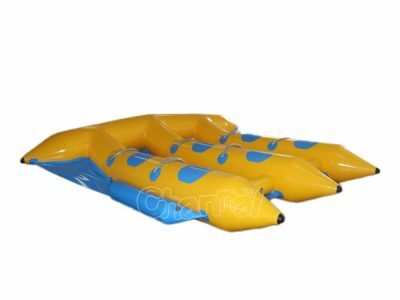 You can totally contact us for your own custom tubes or for your water sports rental business.